How to change how colors are rendered? | Trisquel GNU/Linux - Run free! How to change how colors are rendered? My colors on my display (MacBook Pro 2012) seems very dark and sharp. Like good for a movie but bad for gaming. I know in windows/proprietary drivers you can switch how the display displays colors in the settings. Is there any way to it here? > displays colors in the settings. > Is there any way to it here? I don't know how to use it myself, but this page may be helpful. 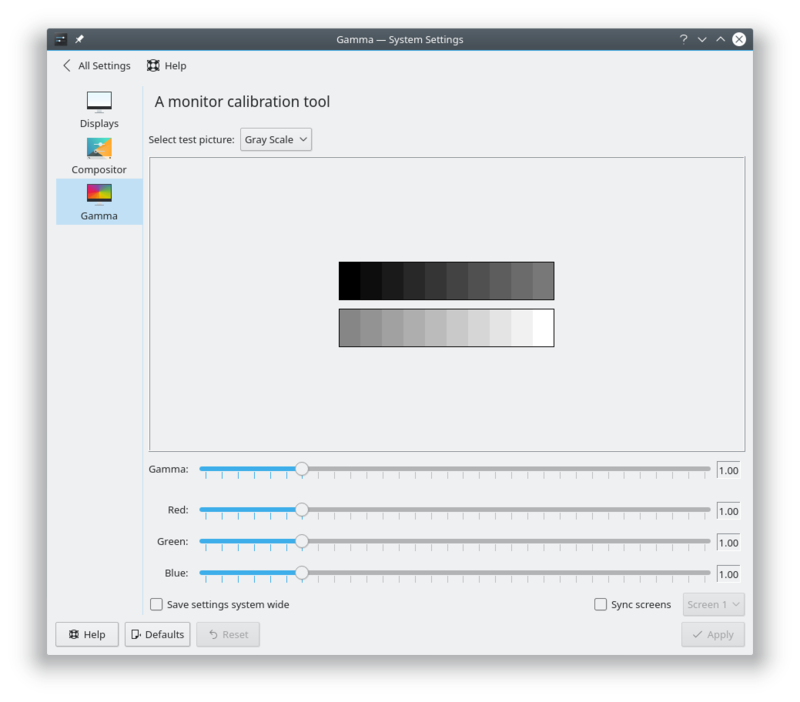 KDE Plasma Desktop Environment has a calibration application -- Gamma. 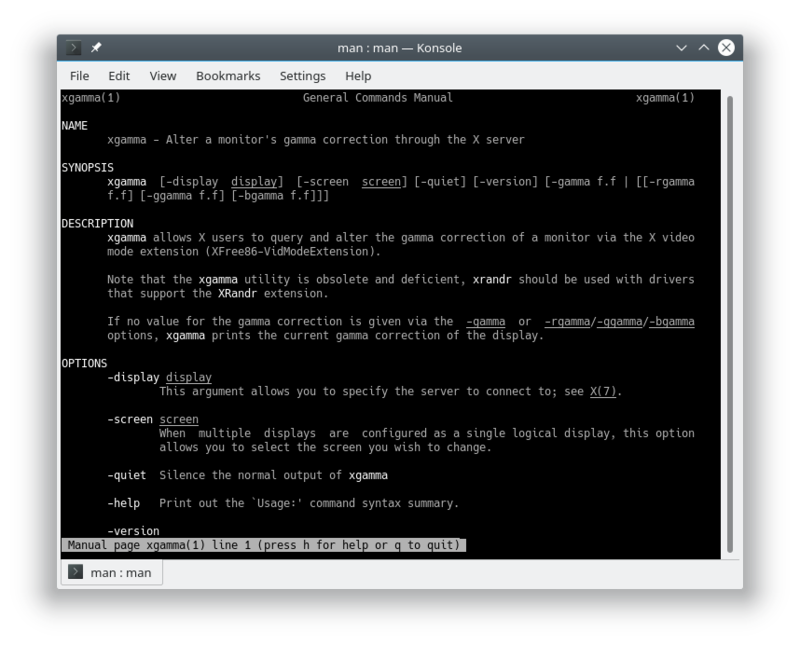 On the command line, there's 'xgamma' to alter a monitors gama correction through the X server ("obsolete", use 'xrandr'). 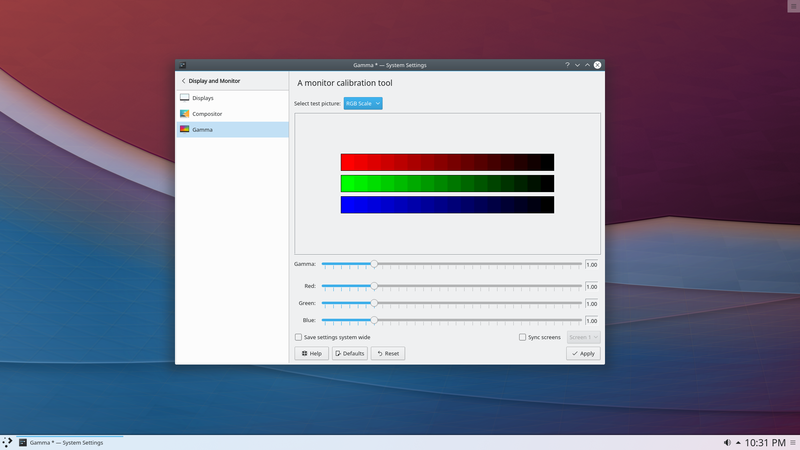 interesting, thanks :) KDE Plasma Desktop Environment, that means switching out the whole Mate right? I think it's a system settings module and you'd need to install a basic KDE plasma desktop. 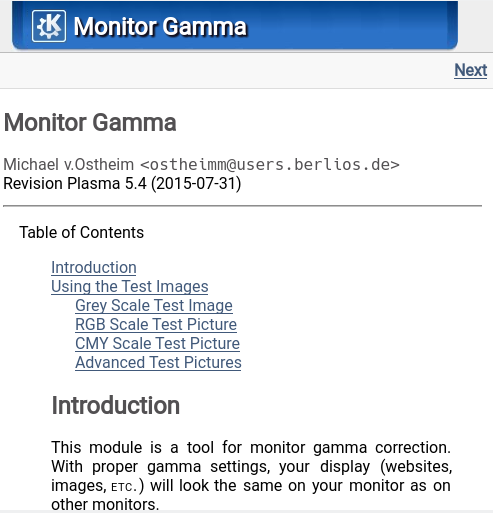 The module package name is kgamma5. I'm on Ubuntu MATE and I had to install kde-plasma-desktop to make it work.